Urbanimmersive Technologies Inc. (TSX VENTURE:UI) ("Urbanimmersive Technologies"), today presented its unaudited consolidated financial results, including those of Urbanimmersive Inc. ("Urbanimmersive" and, collectively with Urbanimmersive Technologies, the "Corporation"), its wholly owned subsidiary, for the three-month period ended December 31, 2014. During the first quarter of fiscal year 2015, the Company closed a private placement of an aggregate amount of $ 500,000. The proceeds of the offering are allowing the Company to maintain its marketing and technology development activities in the real estate market in Quebec. In the first quarter of fiscal 2015, the Company has developed and launched the real estate immersive portal of the APCHQ (Association for Professionals in the Construction and Habitation of Quebec). The new APCHQ real estate portal (www.apchq3d.com) presents exclusively future and new built properties using the immersive technology of Urbanimmersive. The increase in revenue for the quarter was mainly due to the license agreement, and services related to the deliverables of this mandate. The portal will continue to generate service revenues in the coming quarters and will ensure visibility for all products and services of Urbanimmersive in the real estate market. During the first quarter of fiscal 2015, the Company has focused its marketing and development efforts on its two new technology platforms; its immersive blog platform and the Visual Content Marketplace. Two agreements have already been concluded regarding the immersive blog platform. One of the two agreements is with the APCHQ and the other with an organization operating one of the largest real estate portals in Canada in terms of traffic. The name of this organization will be unveiled in the coming weeks. The two new technology platforms allow the Company to use a different commercial approach and to operate with a reduced staff. Revenues from these new platforms are based on traffic monetization and online commissions on payment transactions. In this regard, operating expenses are much lower than the corresponding quarter of the previous year as the Company needs least staff to execute. In this regards, the Company does not anticipate any short-term hiring for the implementation and operation of the mandates linked to those new agreements. « We're pleased with the results of the first quarter of fiscal year 2015. We have managed to establish our new operational foundation for the upcoming quarters,. 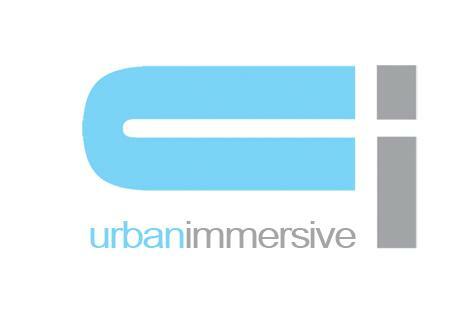 With our two new agreements for the immersive blog platform, we can now count on new sources of revenues » stated Ghislain Lemire, Urbanimmersive CEO. The Corporation's revenues have increased from $153,604 to $365,576 an increase of $211,972 or 138%. This increase is mainly due to the contract for APCHQ real estate portal (www.apchq3d.com) for the amount of $200,000. The Corporation incurred a net loss of $35,094 for the three-month period ended December, 31 2014 compared to $497,244 for the same period in 2013. A decrease of $462,150 or 93%. Operating expenses totalled $238,856 compared to $450,096 for the same period of 2013, a decrease of $211,240 or 46.9%. This decrease is due to a decrease in selling expenses, administrative expenses and in research and development expenses. Selling expenses totalled $39,440 compared to $122,336, a decrease of $82,696 or 67.76%. Administrative expenses totalled $119,282 compared to $237,445 a decrease of $118,163 or 49.76% due to a decrease in salaries of $44,648 and a decrease in professionals fee of $37,280 and a decrease of $15,067 in share based compensation. Research and development expenses totalled $80,134 compared to $90,315, a decrease of $10,181 mainly due to a decrease in staff. Other expenses totalled $15,547 compared to $6,664 for the same period in 2013, an increase of $8,883. This increase is mainly due to the interest charge on convertible debentures of $6,864 in 2014 compared to none in 2013 and to the increase of the interest charges on long term debt of $2,141. As of December 31, 2014, the Corporation had a cash position of $284,062 and a working capital of $27,748 compared to a working capital of $372,880 as of September 30, 2014, an increase of $400,628. This increase is mainly due to closing of a funding of $500,000 on October 23, 2014. The Corporation has prepared a budget for 2015 using assumptions that management considers reasonable. Achieving budgeted results depends mainly on the increase of sales, compliance with the gross operating margin forecast and control of general and administrative expenses. Management expects to meet its budget and have sufficient liquidity to fund its operations at least beyond December 30, 2015. Although management believes it has developed action plans to manage liquidity risk and operational, there is no assurance that these measures will be successful. In the event that the budget estimates are not realized as planned, the Corporation may need additional capital to fund its operations and there is no guarantee that it would be able to raise the necessary capital.